Avoid using abbreviations and acronyms whenever possible. 100% Polyester. 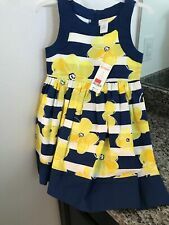 Up for sale is a NEW NWT girls sequin hearts yellow floral size 7 dress. The light blue in the print has an airy feel and surrounds the prancing horses. 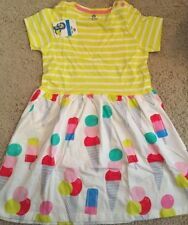 Girls will love this twirl dress from Giggle Moon. This dress features a pink cotton bodice with fluttery ruffled sleeves and a woven tiered skirting in the most darling prints. Long tunic length with ruffle with eyelet-like holes to form flowers around the drop waist. - Tunic/ dress is roughly 28.5" long from shoulder to hem. - Made of 65% polyester/ 35% rayon knit fabric. New from Mustard Pie, the Jeweled Forest collection is ready to take fall by storm. The Ruby dress is a staple of the season and will not disappoint. The dress has an empire bodice with gathered shoulders to create a faux layered look with her striped long sleeves. Yellow and white stripes, shorts sleeves, four-button closure on the front. 100% cotton. 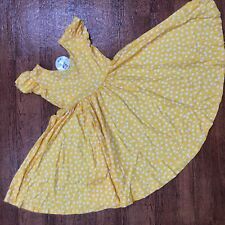 Mustard Pie Scrappy Cordella Dress. Amber Fields Collection. this is for the dress only. Beautiful mix of florals and lace detail for this one of a kind look. Two hip pockets with bows. txzj pxzj229 txzj-4 txzj1. The skirt of this sweet fall dress is a precious blue floral with a panel running up the front with button and lace details. 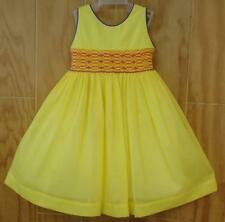 Mustard Pie Dress. Picnic Lunch Collection. this is for the Dress only. Darling as can be, this new girls dress is from designer Mustard Pie and their lively Apple Blossom collection. We love that the two prints in this look feature large flowers and fun tones. The green skirt features cool turquoise roses. See pictures and item specifics for further details. Halter Fit & Flare Dress. Floral print at skirt. Machine wash. Color: Pure Yellow. Smooth sateen weave, fully lined. Due to computer screen differences, item color will not be a reason for the item being misrepresented on my part. 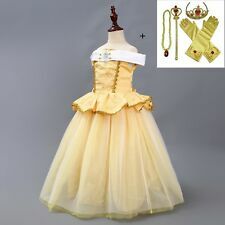 Mustard Pie McKenna Dress. Picnic Lunch Collection. this is for the Dress only. PERSNICKETY CLOTHING. “ADELINE DRESS”. DAFFODILS AND DANDELION. Machine wash; hang to dry. 3 tier skirt w/ ruffle hem. Iris & Ivy Floral Dress, SZ 14, Textured fabric, zip back, lined dress.